This policy promotes appropriate use by University staff, data processors, partners, suppliers and contractors and other authorised non-student users who have access to the University IT services and data who wish to utilise their own devices for accessing, viewing, modifying, deleting and otherwise accessing University held data and its systems. 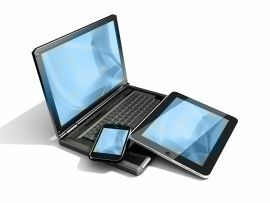 Such devices include smart phones, tablets, laptops, desktop computers and other similar technologies. This is commonly known as Bring Your Own Device or "BYOD". Use device security features, such as a PIN, Password/Passphrase and automatic lock to help protect the device when not in use. Use encryption to protect data. The University encryption policy can be found here and guidance on how to use encryption is available here. Keep the device software up to date, for example using Windows Update or Software Update services. Install and configure tracking and/or wiping services, such as Apple's "Find My iPhone", Android's "Where"s My Droid" or Windows "Find My Phone", where the device has this feature. Do not attempt to circumvent the device manufacturers security mechanisms in any way, for example "jailbreak" or "Root" the device if it is being used to access University IT services. Remove any University information stored on your device once you have finished with it including deleting copies of attachments to emails, such as documents, spreadsheets and data sets, as soon as you have finished using them. Limit the number of emails and other information that you are synchronizing to your device to the minimum required. Remove all University information from your device and return it to the manufacturers settings before you sell, exchange or dispose of your device. The complete policy can be found here. Further guidance is available in the Staff Who Work Off-Campus or With Their Own Equipment Policy..